Vapeonly Portable USB 2.0 Power 3.5mm Speaker is great upgrade for anyone with poor sound output on their desktop, laptop, MP3, MP4 or other electronic devices. Vapeonly Portable USB 2.0 Power 3.5mm Speaker is great upgrade for anyone with poor sound output on their desktop, laptop, MP3, MP4 or other electronic devices. 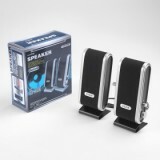 It's a best partner for your ear. 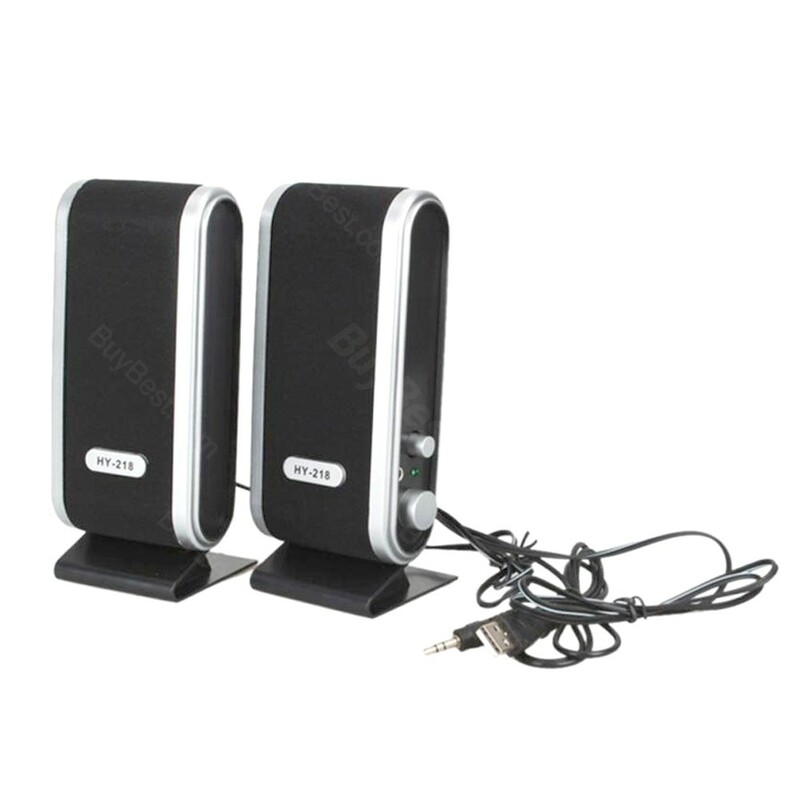 Portable mobile music system, connect your mp3, MP4, notebook, MD, CD, SMD surface-mount technology on micro power amplifier circuit, provide sufficient power output. 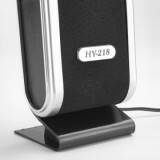 Suitable for computer, MP3, MP4, CD machine, LD machine, television, electronic organ, radio recorder, game consoles, etc. •Low noise, large power, HD sound. 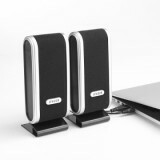 •A great upgrade for anyone with poor sound output on their desktop, laptop, MP3, MP4 or other electronic devices. 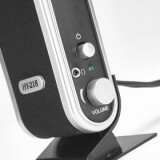 •Easy to control volume and power. •Built-in microphone and headphone jack, volume can be adjusted, LED power indicator. •Small volume, beautiful designing characteristics, powerful, best partners for your ear. 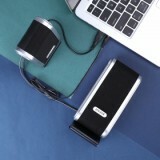 •Suitable for computer, MP3, MP4, CD machine, LD machine, television, electronic organ, radio recorder, game consoles, etc.